Can you guess a country by its playing cards? The most interesting card patterns are in China, Japan, India, Germany, Spain and England. The cards there are so different, they are easily recognized. It is believed that the use of playing cards in China goes back to as early as the 9th century. It was during the Tang Dynasty in China when the friends and family of a Princess were first known to be playing a game with leaves. One of the most well known writers from that era, Su E, mentioned in a document that the Princess, who was the daughter of the Tang Emperor Yizong, played a game with her relatives with leaves. The 11th century scholar from the Song Dynasty, Ouyang Xiu also mentioned in his writings that various types of card games had existed in China since the Tang Dynasty. It is believed that these games and cards themselves had been developed when sheets of paper were first introduced and used instead of the traditional paper rolls for writing. Once paper money had been introduced in China; the values, numbers and symbols were all put together to farm the earliest playing cards. Travelers who visited China and observed this new trend might have blindly carried these back to their countries and reproduced playing cards without complete knowledge about the significance of the symbols that were originally used in the cards in China. The earliest money cards in China had four or three suits. These suits are tens of myriads, myriads of strings, strings of coins and coins. Each of these suits was represented with various ideograms and numbers from 2 to 9. Only the tens of myriads suit were numbered from 1 to 9. Several scholars and researchers also believe that in the earlier times the actual paper money might have been used as cards and the same would have also been used as the stakes for which the game was being played. It is believed that the designs of the dominoes as well as the popular Mahjong tiles had been developed based on the designs of the earliest Chinese cards. Several decks in China that are manufactured today still have suits of strings of coins and coins. These are known to Mahjong players as bamboos and Circles. In Chinese, P’ai is used to describe the tiles in Mahjong as well as cards. There are several different varieties of playing cards in China. 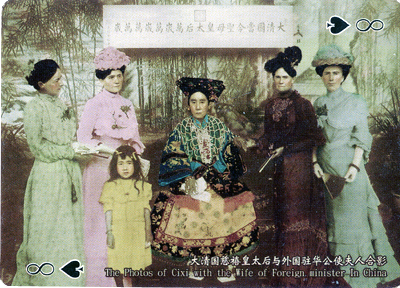 Several different cards and packs were discovered in Shansi, Honan, Canton, Peking and other parts of China which were shown in the 1894 World Fair by Stewart Culin. Perhaps the fastest and the easiest way to learn about the use of cards is by playing online games, like blackjack. Such games may not show you the beauty of authentic cards, but you will still have lots of fun. Play blackjack now! There is no doubt each country has its own traditions and customs, even when it comes to playing cards. Find out about the special features of the cards and card games in different countries. To send us a message please fill the form below. Receive our site updates, information about new pages.